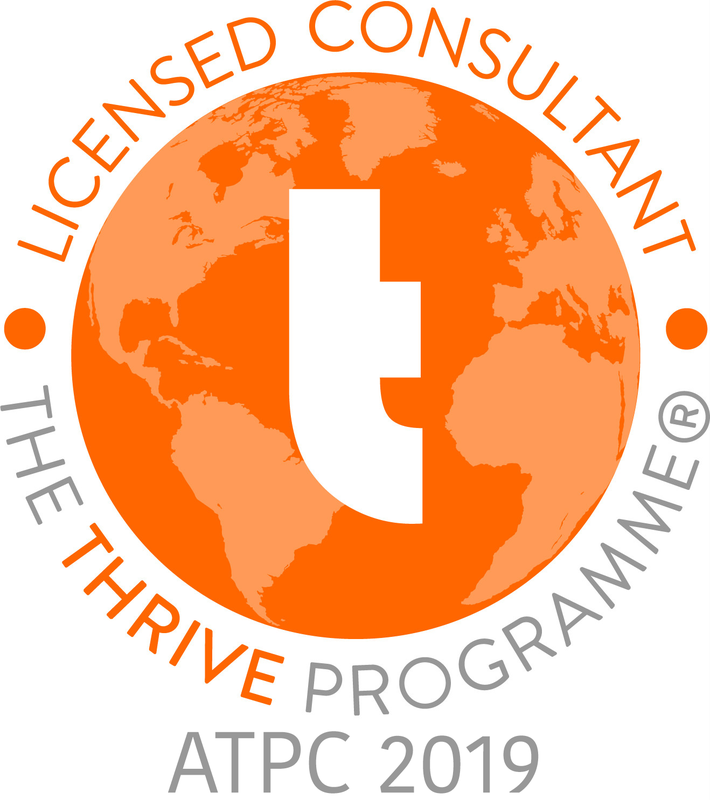 As every component of The Thrive Programme® is tested and researched thoroughly, we spend a significant amount of time both running research surveys and studying research papers. 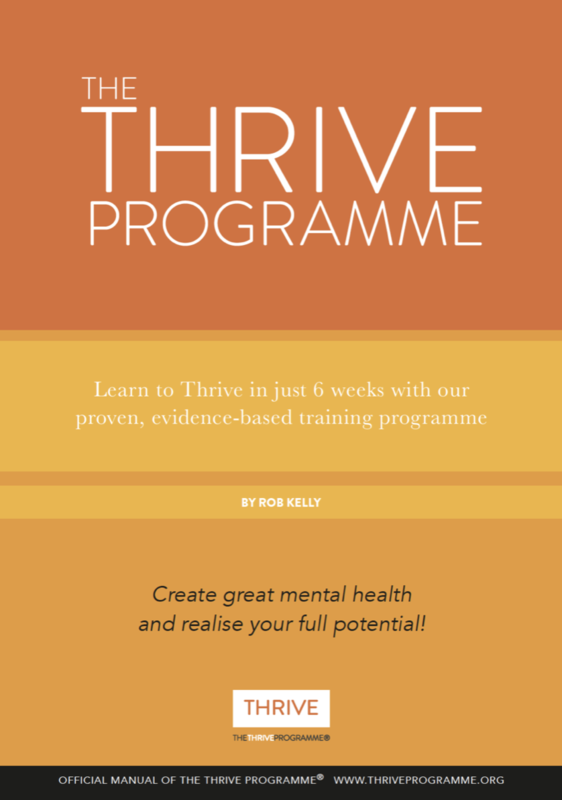 Below you’ll find links to our two main surveys and just some of the thousands of papers we found useful when creating the various Thrive Manuals. American Psychiatric Association (1994). DSM-IV: The Diagnostic and Statistical Manual of Mental Disorders. (4th ed.). American Psychiatric Press Inc.
Dweck, C.S (1999). Self-theories: Their role in motivation, personality, and development. Philadelphia: Psychology Press. Pennebaker and King (1999). Linguistic styles: Language use as an individual difference.’ Journal of Personality and Social Psychology, 77 (6) 1296-312. Pennebaker, Mayne, and Francis (1997). ‘Linguistic predictors of adaptive bereavement.’ Journal of Personality and Social Psychology, 73 (4) 863-871. Price, J.H, Desmond, S.M, Krol, R.A, Snyder, F.F, and O’Connell, J.K (1987). ‘Family practice physicians’ beliefs, attitudes, and practices regarding obesity.’ Am J Prev Med, 3 339–45. Altheide, D.L (2002). Creating Fear: News and the Construction of Crisis. Davidson, A. L., Boyle, C., & Lauchlan, F. (2008). ‘Scared to lose control? General and health locus of control in females with a phobia of vomiting.’ Journal of clinical psychology, 64(1), 30–39. Gladstone, G., & Parker, G. (2003). ‘What’s the use of worrying? Its function and its dysfunction.’ Australian and New Zealand Journal of Psychiatry, 37(3), 347–354. Hout, W. J., & Bouman, T. K. (2011). ‘Clinical Features, Prevalence and Psychiatric Complaints in Subjects with Fear of Vomiting.’ Clinical psychology & psychotherapy. Klonoff, E. A., Knell, S. M., & Janata, J. W. (1984). ‘Fear of nausea and vomiting: the interaction among psychosocial stressors, development transitions, and adventitious reinforcement.’ Journal of Clinical Child & Adolescent Psychology, 13(3), 263–267. Lipsitz, J. D., Fyer, A. J., Paterniti, A., & Klein, D. F. (2001). ‘Emetophobia: Preliminary results of an Internet survey.’ Depression and Anxiety, 14(2), 149–152. McFadyen, M., & Wyness, J. (1983). 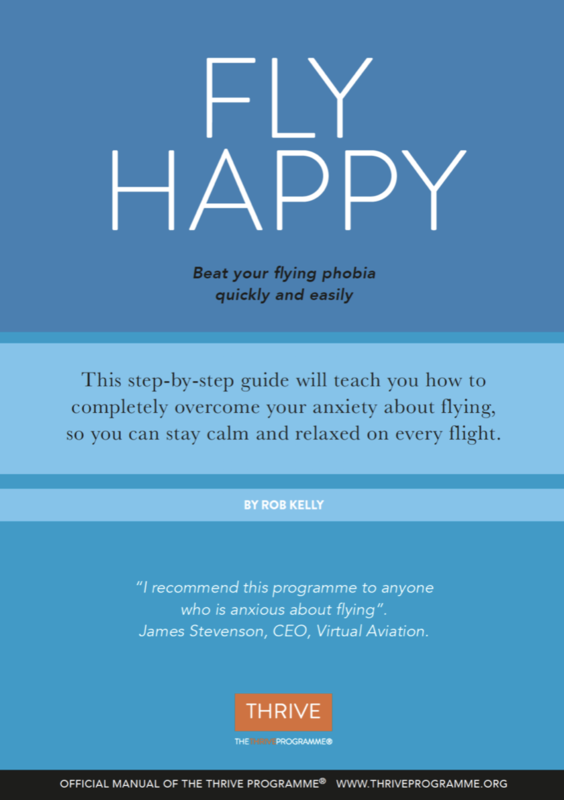 ‘You don’t have to be sick to be a behaviour therapist but it can help! Treatment of a “vomit” phobia.’ Behavioural Psychotherapy, 11(2173-176), 173–176. Moran, D. J., & O’Brien, R. M. (2005). 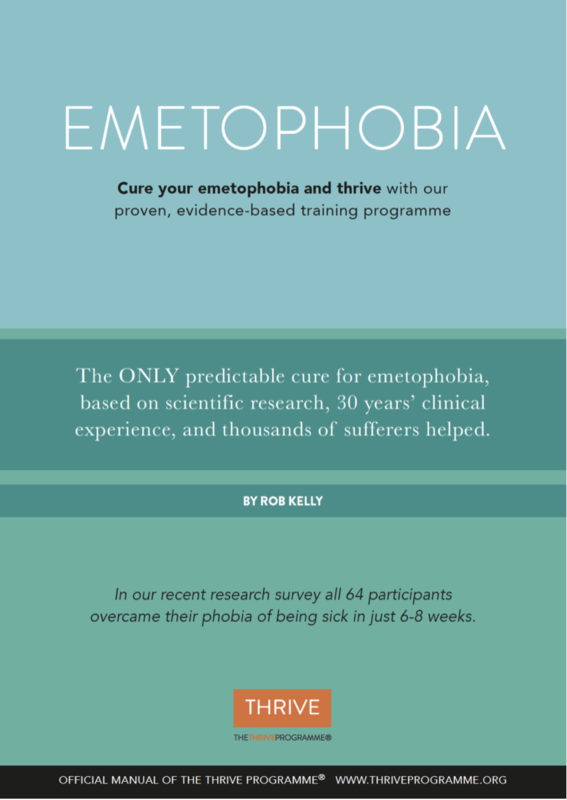 ‘Competence Imagery: A Case Study Treating Emetophobia.’ Psychological reports, 96(3), 635–636. O’Connor, J. J. (2004). ‘Why can’t I get hives: brief strategic therapy with an obsessional child.’ Family Process, 22(2), 201–209. Philips, H. C. (1985). ‘Return of fear in the treatment of a fear of vomiting.’ Behaviour research and therapy, 23(1), 45–52. Ritow, J. K. (1979). ‘Brief treatment of a vomiting phobia.’ American Journal of Clinical Hypnosis, 21(4), 293–296. Veale, D. (2009). ‘Cognitive behaviour therapy for a specific phobia of vomiting.’ The Cognitive Behaviour Therapist, 2(04), 272–288. Veale, D., Murphy, P., Ellison, N., Kanakam, N., & Costa, A. (2013). ‘Autobiographical memories of vomiting in people with a specific phobia of vomiting (emetophobia).’ Journal of Behavior Therapy and Experimental Psychiatry, 44(1), 14–20.